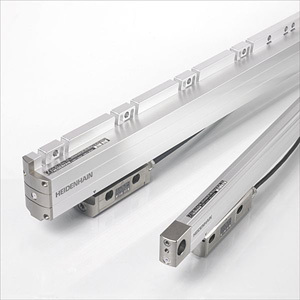 Linear encoders from HEIDENHAIN can be used nearly everywhere. They are ideal for machines and other equipment whose feed axes are in a closed loop, such as milling machines, machining centres, boring machines, boring mills, and grinding machines. Linear encoders measure the position of linear axes without additional mechanical transfer elements. This can eliminate a number of potential error sources.